The Confederation of North, Central America and Caribbean Football Association has announced that Karina LeBlanc will take over the women's program on Aug. 3. The Confederation of North, Central America and Caribbean Football Association (CONCACAF) has announced that Karina LeBlanc will take over the women's program on Aug. 3. According to CONCACAF, LeBlanc will focus on developing and growing women's soccer throughout the region with an emphasis on grassroots and competition platforms. 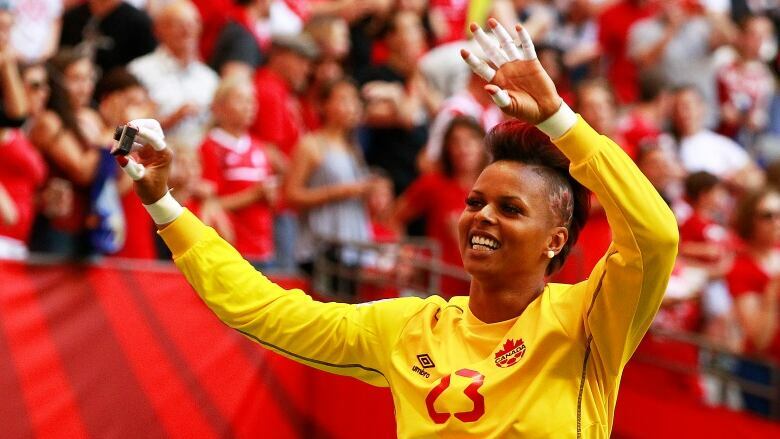 "We are very pleased to welcome Karina LeBlanc as head of CONCACAF women's football. She brings a vast knowledge and passion for the sport, having played for 18 years and serving as an advocate to providing access for more women to the game," CONCACAF president Victor Montagliani said in a release. The Maple Ridge, B.C., resident is a former goalkeeper and represented Canada at the 2008 and 2012 Olympics. LeBlanc, 38, also appeared in four World Cups and three Pan Am Games. Since retiring from the Canadian national team in 2015, LeBlanc, who was born in Atlanta, Ga., has worked as a commentator for CBC. The dual citizen is a member of the 25th Team, a partnership between UNICEF Canada, a team of 60 influential Canadian women, Teck and Canada Soccer. LeBlanc also enjoyed a successful professional career in the U.S.-based National Women's Soccer League.